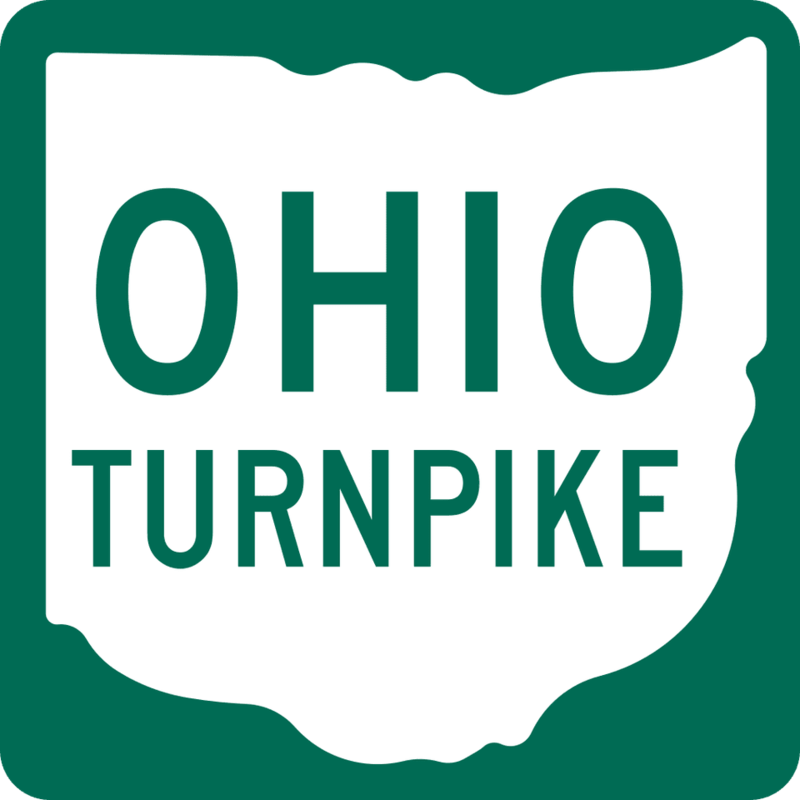 The Ohio Turnpike, Ohio's only toll road, connects the Indiana and Pennsylvania Turnpikes and spans 241 miles across northern Ohio, from the Indiana state line near Montpelier, Ohio to the Pennsylvania state line near Boardman. Though there are no hotels located directly on the Turnpike, many of the exits have hotels nearby. One of the newer exits on the Ohio Turnpike, Exit 52 is the nearest exit to Toledo Express Airport. Nearby hotels include the Courtyard Toledo Airport, located seven miles away from the airport, and the Days Inn Airport, also seven miles away. The next exit heading west from the Toledo Airport exit, Exit 59 connects travelers with US 20 and the shopping, restaurants and hotels located in the Toledo suburb of Maumee and the south side of Toledo. Right off the exit are the Courtyard by Marriott and the Residence Inn. Exit 64 of the Ohio Turnpike--the next exit from Exit 59--connects the Turnpike with I-75, which leads to Detroit to the north and Findlay, Lima and Cincinnati to the south. The exit, located in Perrysburg, Ohio, offers several hotels within a short drive. Among these is the Holiday Inn French Quarter with a large, indoor swimming pool area, the LaQuinta Inn and the Hilton Garden Inn, located within the Levis Commons shopping complex. Exit 145 of the Ohio Turnpike connects the toll road to I-90 and SR 57. This is a busy interchange with numerous hotels, restaurants, and even the Midway Mall. Among the hotels to be found here are the Comfort Inn and Suites and the Country Inn and Suites. Exit 118 on the Ohio Turnpike at SR 250 is the gateway to Cedar Point and many of the Lake Erie Vacationland attractions. There are several hotels located just off of the exit, including the Quality Inn Cedar Point South, the Hampton Inn Sandusky/Milan and the Days Inn Cedar Point South. On the far west side of Cleveland, the Turnpike's Exit 151 joins the toll road with I-480 around North Ridgeville. Hotels near this exit include the Super 8 Motel and Motel 6. Just a mile east of the North Ridgeville exit, Exit 152 connects to I-480 and SR 10. The area also has plenty of hotels as well as access to Great Northern Mall. Among the hotels near the Turnpike are the Courtyard by Marriott, the Hampton Inn and the Radisson Hotel. Exit 161 connects to both I-71 and U.S. 42. in Strongsville. Just off of this exit, you'll find the Holiday Inn Cleveland-Strongsville and the Super 8 Strongsville.